Peat is part of the Finnish folk tradition treatments. Peat has proven to be effective in treating skin problems, joint problems, muscle pain and sport injuries and in balancing hormonal activities. It is an excellent aid for weight loss and as cellulite treatment. In facial and hair treatments peat has a reviving, cleansing and soothing effect on both skin and scalp. 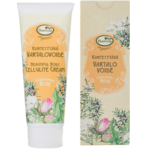 Beautiful Body Anti Cellulite Cream with organic herbal extracts, bioactive ingredients of peat, genuine essential oils and both homeopathic extracts and flower essences that help break down cellulite. 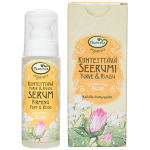 Firming Facial Serum Peat & Rose where bioactive vitamin and antioxidant rich ingredients of rose, peat and yarrow increase the skins cellular metabolism, firming and smoothing fine lines. Mother Earth has been providing healing materials and comfort from time immemorial. Since the inception of the naturopathic profession, restorative earths such as peloids have been an invaluable part of our therapeutic inventory. The term peloid suggested by Dr. S. Judd Lewis, was adopted by the International Society of Medical Hydrology and Climatology as a designation to cover all forms of external applications of mud, fango, peat and related materials from the earth. Peloid therapy shares a parallel, colourful history with naturopathy and has always been a cherished, albeit recently underutilized therapy in the naturopathic tool chest. For the past two centuries, therapies employing peat, moor, mud and clay were central to balneotherapy and to naturopathy. Earlier, the great father of chemistry, Paracelsus [1493-1541] himself, experienced the powers of peat and moor. For example, he knew of the moor drinking cure chiefly prescribed for gastrointestinal complaints that also included liver and gall bladder problems. He differentiated among different peloids ascertaining that some were for increasing appetite, while others reduced fevers. Closer to our own time, peat was used by the early naturopaths in America who were greatly influenced by the European balneotherapists and nature cure practitioners. Benedict Lust, the founding father of naturopathic medicine in America, translated Adolf Justs book, Return to Nature, to make available in America its authors profound belief in the power of nature in the healing process. In his preface to that premier edition, Lust expressed a deep veneration for Justs work and vision. that nature originally designed for him. Lust modeled his two Yungborn Sanatariums after those built by Just in Germany. On another continent, Mahatma Gandhi was so moved by Justs rebellion against scientific medical treatments that he formulated his own ideology for the future in no small part influenced by that teaching. In fact, when he was released from prison is 1944, Ghandi opened a Nature Cure sanitarium in India based on Justs model. Some specific examples of the many tools championed by Just were the earth bandage and earth compress, both used fearlessly by him to cure dangerous inflammation of wounds. Numerous techniques and tools have come down to us from those days. The curing of all wounds and all skin troubles is accomplished through moist earth in the shortest possible time without any pain and any distress whatever. For every injury of the skin, wounds of cutting, stabbing, burning, shooting, etc., for every boil or ulcer, every inflammation, stings and bites of animals, blood-poisoning, for all skin diseases, cancer, lupus, tetter, dandruff, eruptions, leprosy, for broken bones, etc., the affected locality ought to be bandaged with moist earth or moist clay. Earth, moistened with water, would be put directly on wounds and secured with linen cloths to hold the bandage in place. The earth bandages were also applied around the abdomen of women to aid labour which equaled Sitz baths. The earth compress was similar to the Priessnitz water compresses except that earth was used instead of water. Although, pelotherapy has been used in Europe for the past two centuries for the treatment of rheumatoid diseases and gout, research to unravel the therapeutic properties of peat has increased in the past several decades to include many different disease conditions. The indications for peloid therapy include rheumatic pain and traumatic disorders such as psoriatic arthritis, osteoarthritis, contusions, hematoma, strains, sprains, gout, myalgia, sciatica, and edema. Cardiovascular diseases helped by pelotherapy include peripheral vascular diseases, Reynards disease, phlebitis, and arteriosclerosis. Gynecological disorders include dysmenorrheal, leucorrhea, infertility, endometriosis, menopause and the peloid therapies are safe during pregnancy. Dermatological conditions include eczema, acne, hematoma, atopic dermatitis, psoriasis, ulcers, and fungal infections. Other conditions that have benefited are fever, flu, infections, fatigue, diabetes, epilepsy, cancer, tuberculosis, toxicity and environmental sensitivities and allergies. To better understand why peloids have therapeutic properties at all, it is useful to begin with the way these peloids are formed. The ingredients include decaying vegetative matter, microbial agents, water, and surrounding rock. Combine these with thousands of years of vegetation growth that decay each year and one can come to appreciate the patience of Mother Nature in creating these wonderful healing earths. The environments where peat and moor bogs are found have also microscopic elements which represents the chief factor in the development of the therapeutic qualities of the peloids. In fact, the therapeutic properties are dependent upon the algae and certain microflora found in the peat bogs. The practices of the naturopathic healers in the decades before the emergence of the era of biomedicine are increasingly studied and confirmed. Within this effort, the chemistry of peloid efficacy is increasingly discussed and researched in our time. For example, numerous investigations point out that once humification of the vegetation occurs anaerobic conditions are important in the production and preservation of peat and moor. Therapeutic peloids have varying ratios of organic and inorganic components. The inorganic minerals can be leached from surrounding earth into the peloid beds. The humus constitutes the organic component. The most widely used system for determining the degree of decomposition is the von Post scale. The degree of decomposition  the H-value  is expressed by a number on a 1-10 scale. H-1 means totally undecomposed plant material and H-10 represents completely decomposed peat. In practice, the degree of decomposition is determined by squeezing freshly harvested peat in the hand and by examining the compressed peat and water. The method is very useful for assessing moss peat but it is not as suitable for sedge and woody peat. Natures pharmacy can be found in peloids with 8 to 10 H values since they are rich in phytochemicals, acids, minerals and many organic compounds. The traditional and growing literature on peloids points out that mud and peat are differentiated by their organic and mineral constituents. Muds have a high mineral content and peat and moors are rich in organic compounds. Peloids with high organic content must be stored in a moist state. It is important to note that peat and moor are only bioactive if in a moist state. By drying, the organic substances become inert and irretrievably lost. Even subsequent additions of water cannot restore the therapeutic properties. On the other hand, mineral peloids can be dried and still be therapeutically active. Other peloids need to be conditioned and maturated for long periods of time before they can be used. Muds are mixed with mineral waters and algae to increase their use as a medicinal peloid. Paracelsus did not have specific data on the actual constituents of peloids but this did not stop him from deducing that the hundreds of plants found in a bog culminated in the medicinal properties of the peloid found in the peat bog. He was in search of the philosophers stone, a medicine exalted by alchemists to which Paracelsus compared the peat peloids. Paracelsus could see when contemplating the possibility of replicating the philosophers stone, that same similarity of plants transforming and culminating into a most powerful elixir in the peat and moor bogs. Important to point out, however, is that not all moor or peat bogs produce equally potent healing peloids. The spectrum of naturally occurring peloids range from negligible, as in peat moss used in horticulture, to the remarkable healing properties found in the Neydharting Moor, for example. Neydharting peloids are known to include over 300 different bog plants. Many of the plants have been used for centuries as medicinal herbs. These plant constituents are made up of a variety of organic substances, waste products of celluloses and lignans, pollen and other compounds. The humine acids have a similar action to estrogen. Contemporary analysis tells us that the structure of peat consists of micropores within a cellulose structure that allows water to be held within its cavity where either hot or cold temperatures are maintained for prolonged periods. Peloids are poor conductors and their convection is virtually negligible. Therefore, waters containing peat will cool much more slowly than regular tap water. Because of peats high retentivity of heat, treatments are better tolerated than tap water. If a peat bath is 38ºC, it will feel like a bath at 35ºC. The temperature of peloid baths however, varies between countries and physicians. The general rule is for the baths to range from 37ºC to 42ºC, with baths at the lower range for cardiovascular and rheumatic diseases and the higher temperatures are suitable for influenza, cancer, gynecological and orthopedic treatments. The therapeutic properties of peloids in any case include their ability to retain heat and their abundance of ionic minerals and various organic compounds. Peloids have clinical applications that include anti-inflammatory, anti-microbial, anti-viral, anti-neoplastic, and estrogen modulation, as well increase stroke volume of the heart. These kinds of therapeutic applications for peloids have been diverse and widespread for millennia. Contemporary clinical research, however, is elucidating in contemporary clinical language for primary care physicians how chronic conditions can be treated. Much of the research available emanates from Russia and Eastern Europe. Among the abundance of new data and findings are studies of particular interest to the naturopathic profession. As a case in point, beta-endorphin (betaE) is an important reliever of pain. Various stressors and certain modalities of physiotherapy are potent inducers of the release of endogenous betaE to the blood stream. Peloid therapies have been found to elevate beta-endorphin levels during peloid therapies as well as during saunas. A further such example is that arthritic diseases have long benefited from peloid therapies. Relief from pain is achieved with peat peloid with the treatment duration as little as 10 sessions of 20 minutes. A three-week study on 146 patients with rheumatoid arthritis using the Dead Sea mud and mineral water demonstrated positive clinical outcomes for patients suffering from pain and mobility constraints. Mud compresses applied to osteo arthritic knees in another study evaluating the difference between mineral rich mud with mineral depleted mud showed that those in the treatment showed significant improvements in comparison to the control group. In post-menopausal women, peat baths have increased estrogen levels. A study of 28 patients diagnosed with immature follicle sterility was divided into three groups. The treatment group consisting of 16 sterile women received 3 peat baths per week for a total of 12. In this group, 11 women became successfully pregnant [with one miscarriage] resulting in 68.8% success than the controls. Peloids left in their natural state have exhibited the ability to destroy fungal cultures. Given the ability of peloids to be powerful antibacterial agents, it is easy to understand why they have been used for centuries to restore favourably the gut flora of the intestinal tract. The capability of peloids to detox harmful endotoxins /exotoxins can be appreciated by reviewing a study conducted by Dr. Nissle. Bacillus anthracis was cultured on moor suspension and found to thrive and grow quickly. The initial conclusions were that the moor had no influence on the anthrax and was unable to destroy the anthrax rods. Mice were injected with lethal doses of the anthrax cultured on the moor medium and rather than dying, the mice lived to the amazement of the researchers. Dermatological diseases have also been shown to be alleviated by peat therapies. Skin diseases such as eczema, acne, psoriasis, ulcers and fungal infections are aided by restoring pH balance, softening the skin, removal of metabolic waste products, and preventing inflammation. The elegance of the historically powerful use of peloids in manifesting the earths healing bounty is pointed out increasingly by contemporary research and clinical application. Unfortunately, the western world has not uniformly engaged in expanding this important body of research. Nevertheless, a cornerstone of naturopathic medicine is its deep respect and stewardship for traditional therapies and natural materials such as the remarkable peloid peat and mud. 100% genuine Finnish moss and sedge peat treatment mixture. Also for professional use. 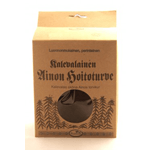 A beautiful and firm body with the help of the treasures of Finnish nature : herbs, therapeutic peat and flower essences.